This shop has been compensated by Collective Bias, Inc. and its advertiser. All opinions are mine alone. 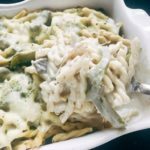 #PowerOfDots #CollectiveBias This Philly Cheesesteak Mac and Cheese is a perfect twist to classic comfort food! 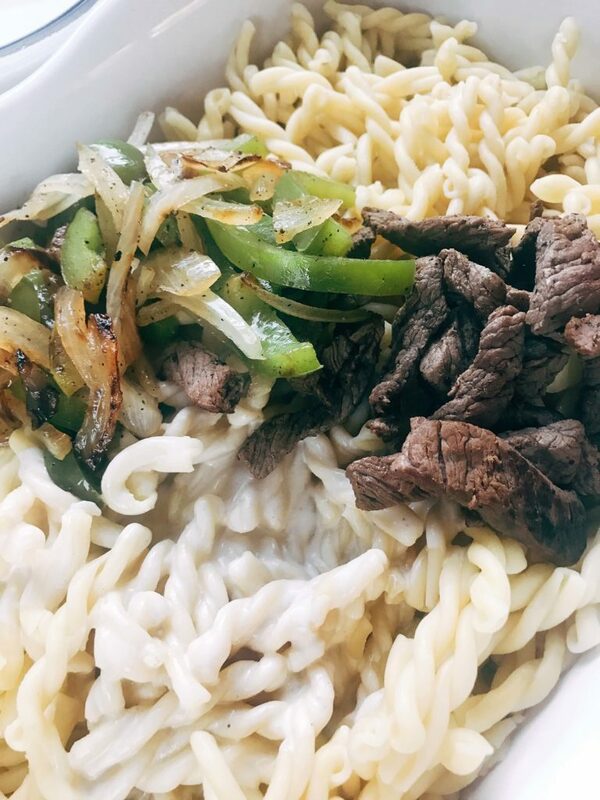 The pasta is combined with a provolone and cream cheese sauce, tossed with steak, green bell peppers, and onions. Depending on who you talk to, there are different opinions about what vegetables should be in a Philly cheesesteak, so adjust the vegetables to your preference or opinion. But I love my onions and peppers! 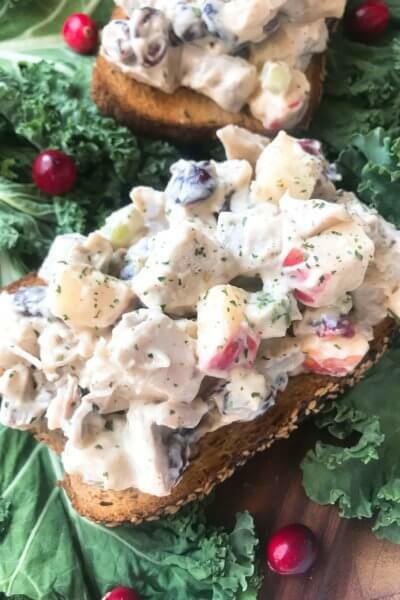 I love to combine different flavors and dishes together into new recipes that are fun and different. And anytime I want to experiment with mac and cheese, you can bet the hubby is on board! 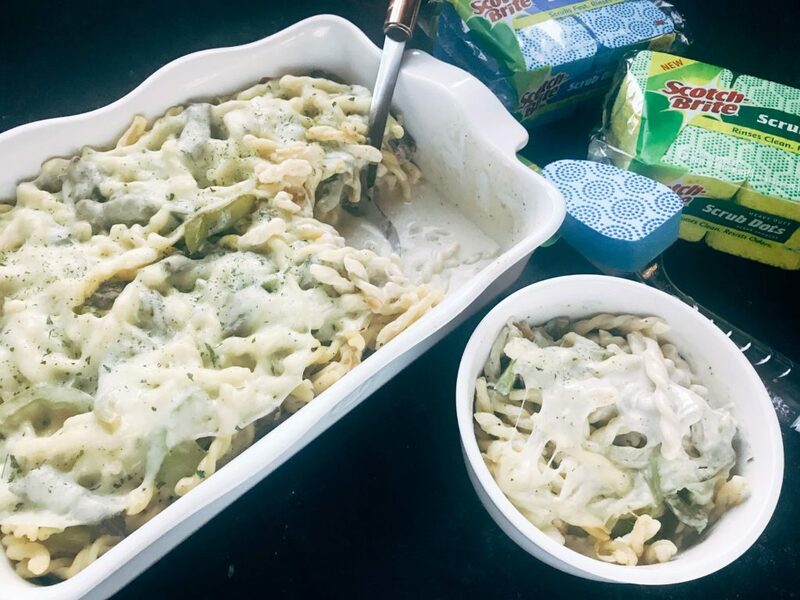 Baked dishes like Philly Cheesesteak Mac and Cheese can leave tough and stubborn messes on your baking dishes. I have been known to just let a dish soak and stare at it for a while, dreading the scrubbing that it will take to get the baked on mess off. But Scotch-Brite™ Brand has these amazing new Scotch-Brite® Scrub Dots products that make my life so much simpler! Clean up is so much easier, I don’t have to let those dishes sit in the sink in a scrubbing show-down anymore. 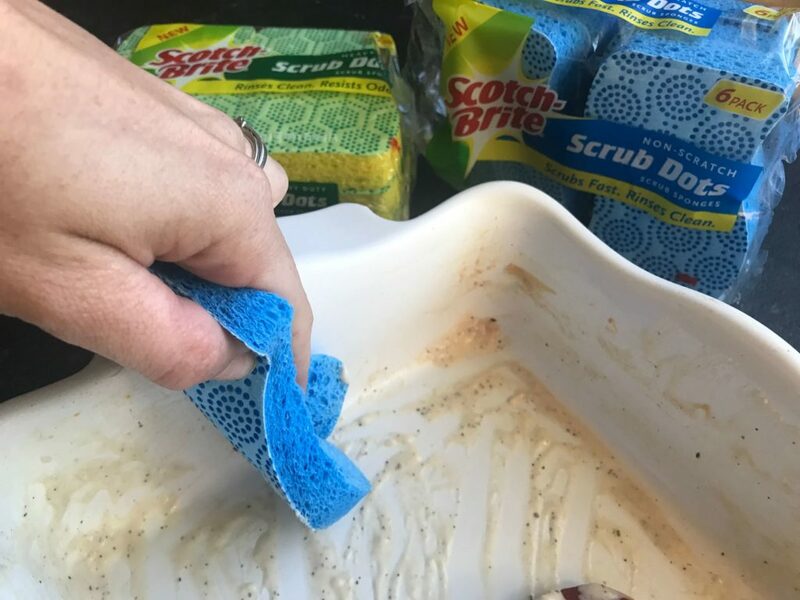 The Scotch-Brite® Scrub Dots scrub away kitchen messes fast and come in heavy duty and non-scratch versions and the scrubbing technology allows sponges to rinse clean. 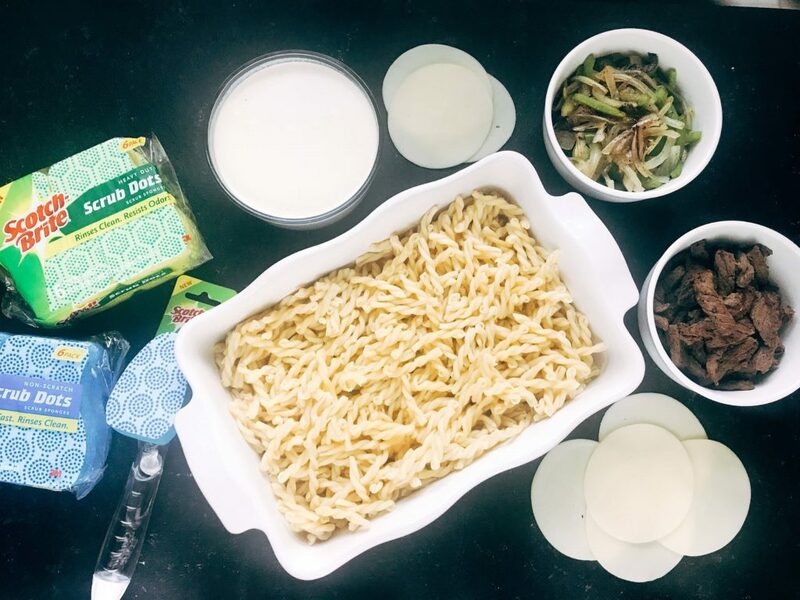 I love using the Scotch-Brite® Non-Scratch Scrub Dots Sponge, safe for all cookware, on this baking dish of mine that I am obsessed with so I do not have to worry about damaging the dish. In addition to the sponges they also have an amazing Scotch-Brite® Non-Scratch Scrub Dots Dishwand and Scotch-Brite® Heavy Duty Scrub Dots Dishwand. 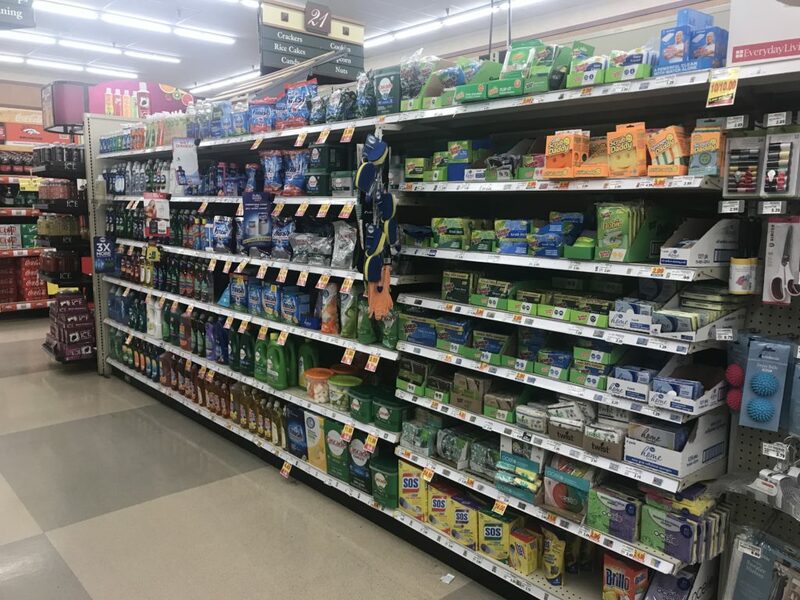 You can find all of these powerful products in the sponge and cleaning section of your local Kroger or Kroger banner store. From 10/4 – 12/31, you can get $1 two Scrub Dots items! 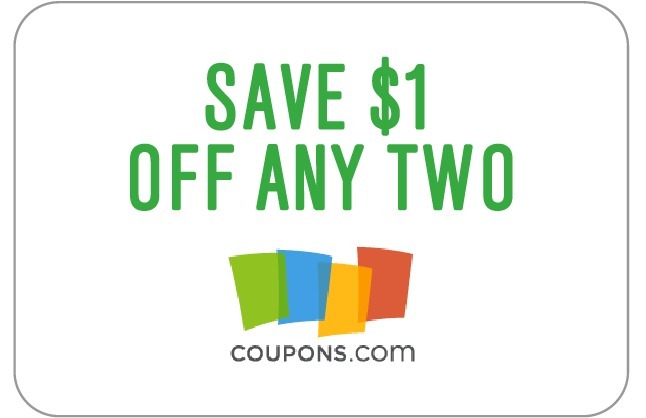 Check out the coupon below for these savings. 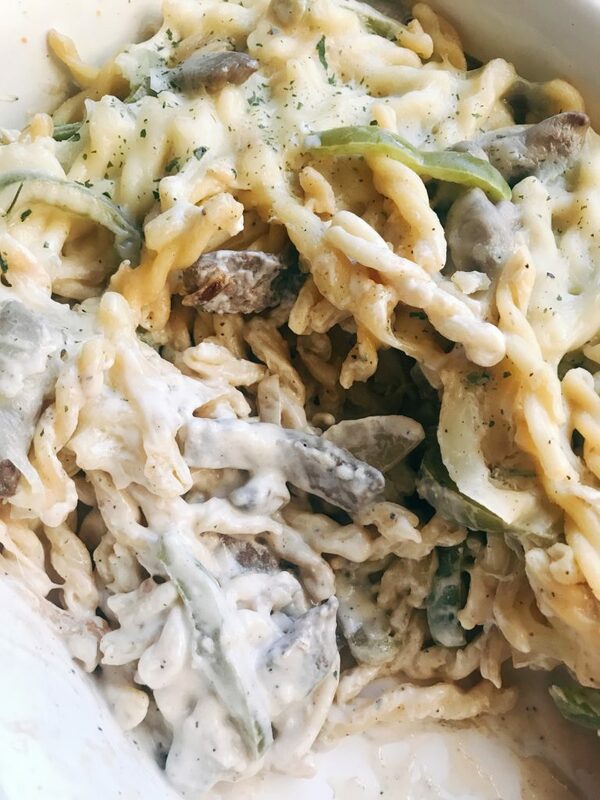 To make this Philly Cheesesteak Mac and Cheese, first start by cooking your pasta to al dente. Then get your onions and bell pepper cooked as well as your steak. Set them all aside. In the pasta pot, make your cheese sauce by first making a roux of butter and flour. 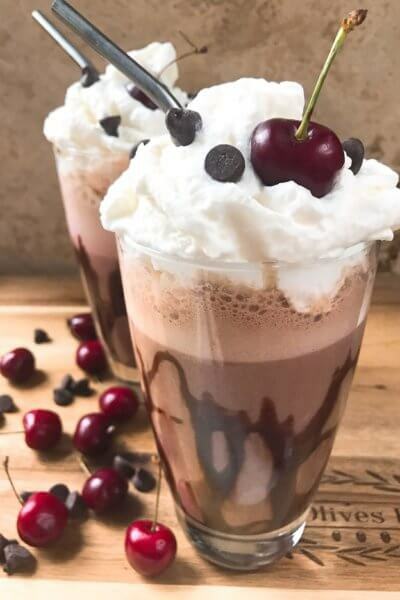 Whisk in the milk and remove from the heat. Add the cream cheese and some provolone, and mix until the cheese is melted. Season to taste with salt and pepper. 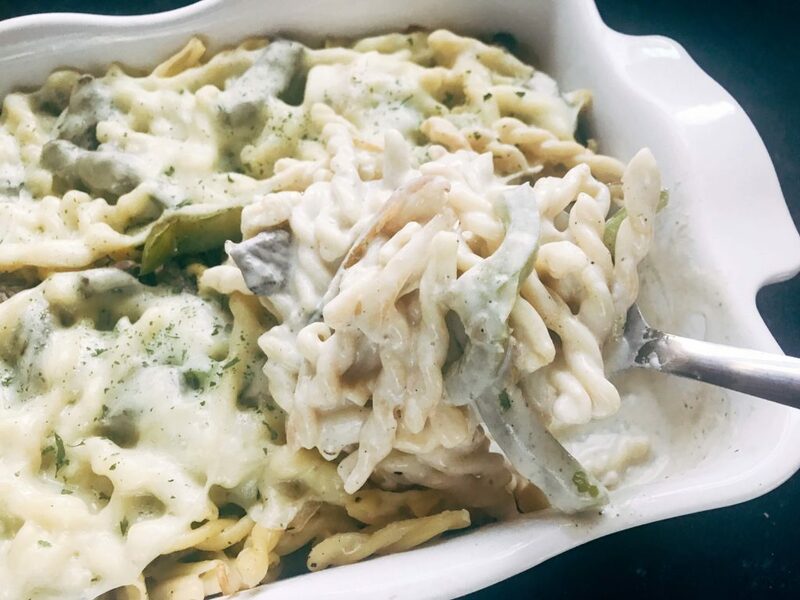 Toss the pasta, vegetables, and steak back into the cheese sauce and toss to combine. 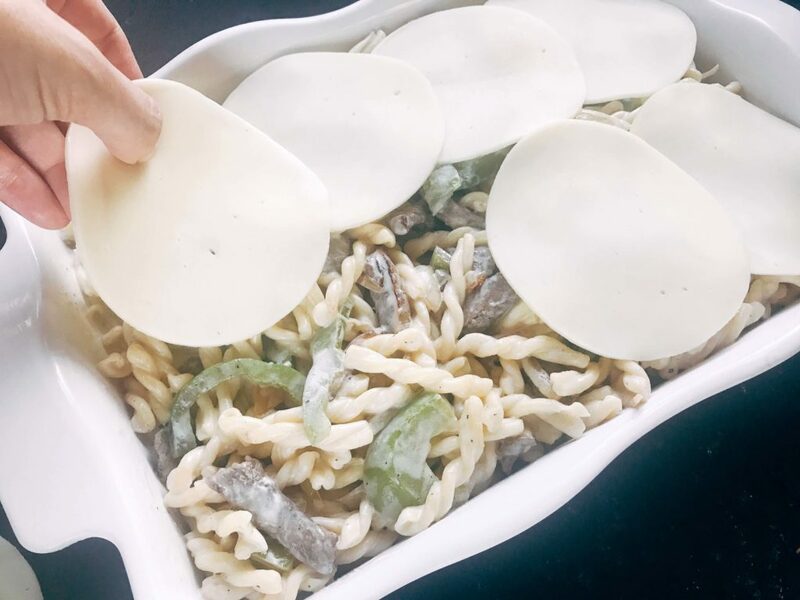 Pour the mac and cheese into a large baking dish and top with additional provolone cheese slices. Bake at 350F for approximately 20-30 minutes. 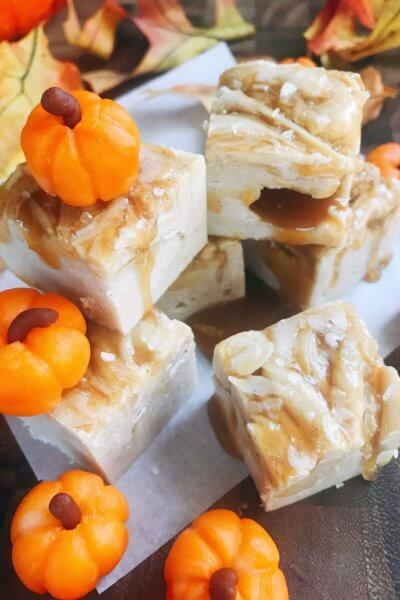 I hope you enjoy this comfort food as much as we did! Heat a large pot of water over high heat. When boiling, add the pasta and cook as per package directions, approximately 11 minutes, until al dente. When done, drain and set aside. While the pasta is cooking, slice your steak into thin pieces. (Approximately 1/4 inch thick, 1/2 inch wide, and 2-3 inches long). Heat a large skillet over medium heat. Add the vegetable oil and when hot, add the peppers and onions. Lightly season with salt and pepper. Cook until just translucent and beginning to soften, approximately 5 minutes. If you want soft vegetables, cook longer to your preference. 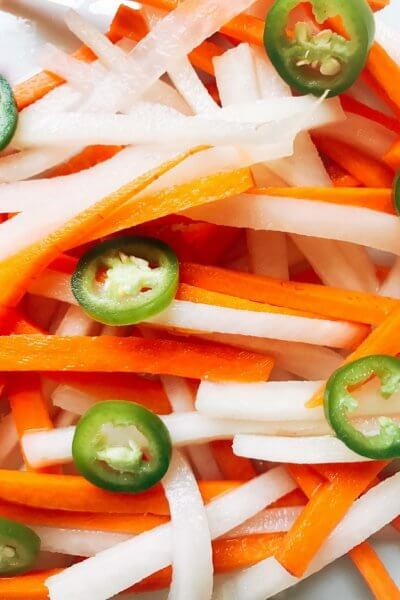 Remove the vegetables and set aside. Put the skillet back on the heat and add the steak. Sprinkle with salt and pepper. Cook until the meat is browned and cooked mostly through, approximately 3 minutes. This will vary based on the thickness of your steak and preferred doneness. Remove from the skillet and set aside. By now your pasta should be done. Put the empty pasta pot back on the stove and heat over medium heat. Add the butter until melted and then whisk in the flour to make a roux. Cook the roux until the butter is just starting to turn a light brown. Whisk in the milk to the roux mixture. Cook until the milk is heated through, approximately 3 minutes. Remove the pot from the heat. Add the cream cheese and 4 oz of provolone to the milk. Stir the sauce off the heat until the cheese is melted. Add 1/4 tsp each of salt and black pepper. The sauce will be thicker at this point. Do not do this over heat as the heat will cause the cheese to break and separate. Season the sauce with more salt and pepper to taste. Add the pasta, vegetables, and steak back into the pot with the cheese sauce. Toss to combine. Pour the pasta mixture into a large 9x13 baking dish. Layer the remaining 8 oz of provolone on top of the pasta. Bake until the mac and cheese is warmed throughout, approximately 20-30 minutes. 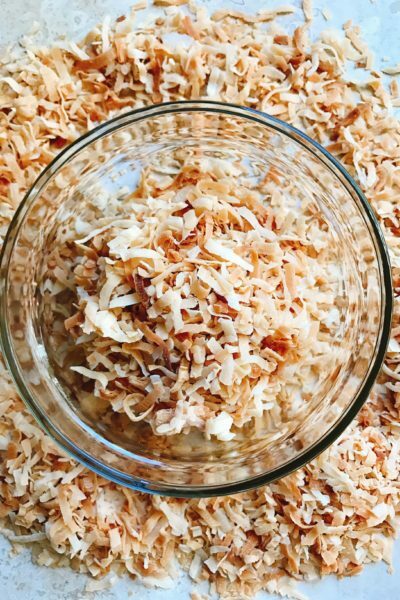 Remove from the oven and set aside to sit 5-10 minutes. Serve warm. For a saucier mac and cheese, increase the milk to 3 cups and adjust seasoning accordingly. The sauce will be a little thin. You can also increase the butter and flour to 3 Tbsp each.